"That this House notes that child benefit can only be paid to one parent; further notes that this unnecessarily discriminates against the other parent where parents are separated and maintain shared custody of children; further notes that this can further discriminate against one parent by preventing access to suitable housing and additional income to allow them to provide for children; further notes that this can lead to restricted access for one parent to see their children; and calls on the Government to take action to address these problems." Early day motions (EDMs) are formal motions submitted for debate in the House of Commons. Very few EDMs are actually debated in parliament however, but are used for reasons such as publicising the views of individual MPs, creating awareness of campaigns and demonstrating the extent of parliamentary support for a cause. MPs can add their signatures to an EDM to show support. They can also submit amendments to an existing EDM. Although majority of EDMs are never debated, the group of EDMs known as 'prayers' may be debated. Prayers are motions to overturn Statutory Instruments (laws made by Ministers under powers deriving from Acts of Parliament). My ex is pushing (50 )I am still in my 30s now I have (maybe) with the emphasis on (maybe )a teenage daughter to her she is (14 )now .my relationship with her was open on her side .she never wanted child support which is a (big indicator plus a guy does claim to be her father .I have never taken her to (court for visitation or more importantly for a DNA test ).she would have claimed child benefits from the governmentfor this child in question which is (fine) .i haven’t seen this child sence she was (5 )I have a lot off questions surrounding who the (bio father is ).i know it’s ancient history now I have been told bye family members and friends to write it off because I have been in a lot of trouble from her in the past .my family told me to leave her out off my will because off uncertainty off the fact the child may not be mine .now this child doesn’t carry my surname and was christened in my church .my question is would the mother be up for fraud if in fact the child wasn’t mine ? Hi, I split with my ex approximately 10years ago now and since then although being unemployed 6months after splitting up, I have had a family based agreement whereby I have never defaulted in any monthly payments to their mother. It started from £80 per month. I was then threatened to her that I had to give her £130 per month approximately 3 years after and have been paying this! It was back in July 2018, that again upon being threatened by her telling me to give her £240 per month or she’ll be ‘going to the CSA’ Unbeknownst to me doesn’t exist anymore, it’s the CMS. I called the CMS in November whereby they were shocked with what she was demanding, despite her knowing I have been on my ESA benefit (mental issue) 2years after splitting up! I get £267 from the benefits which leaves me with £27 left! I have a mortgage of £220 per month along with all other mandatory bills. If it wasn’t for my very kind hearted mother (who even fronted my ex with the deposit and insurance for my ex for her 1st car when we were together) she is keeping me alfloat and stopping the bayliffs knocking my door! My ultimate question...is there any way whereby I can be reimbursed for the serious overpayments I have been paying for years and years! The legal minimum due to my benefits situation says £7 per month per child but I am happy to pay £80 as they are my kids too obviously! She will not talk about it and am sure the kids don’t see any of it...instead it is keeping her and her new husbands mortgage and other major debts they have got theirselves into. Sorry if this is an essay but as you can imagine....I’m absolutely irate about this. 1000’s of pounds been, in effect, stolen from me for HER benefit...not my/our kids ?? Hi I’m new to this forum, so here I go. I am a working parent trying to save for a mortgage but that’s a long way off and need some advice I separated from my x 8 years ago and my sons was 3 and 6 at the time.i would pick them up on Fridays and drop them off on sundays.Over the years they have been staying more and more like the whole summer holidays,weekends,weekdays, basically when ever they want. So me and the x agreed that I could have them 50/50 so they can stay as much as they want. Now my sons are with me more than with her and I only have a one bed room apartment.Which has their bunkbed in it they stay with me a hell of a lot and I asked the council if I can join the register and explained that they stay with me 3-4 days a week now and they have no room. I was told they ain’t entitled to a room because I don’t get child benefits which prove they live with me!!! which I don’t want anyway. I don’t want benifits I want a extra room for my sons that I will pay for. Can anyone help me out on here please. The x gets child benefits which I don’t want but my sons do live with me 3-4 days a week if not more. I have a 3 year old son with my ex. We seperated around 18months ago, we agreed to co parent and the arrangement was I would have him Sunday to Wednesday afternoon and she have him the rest of the time. I have quite a low paid job earning at best around £1300 a month. She recieves all his benefits and i also give her £100 a month. My question is, am I entitled to any sort of help with money? It seems so unfair that I have him almost half the time and pay her alot of money every month and am not entitled to anything. Please help, I'm starting to struggle financially quite alot. So. This is a complicated one. I have my fourth daughter on the way with my current partner of 6 years. My other 3 daughters (to two different exes) I have at least one a week overnight. Basically I'm worrying about everything. We are currently living in a two bedroom house which isn't sufficient. I can't apply for a council house because they won't include my other daughters in the application process. I'm on minimum wage, my partner works in a school and we both work full time. Our total earnings work out to about 28000 a year which may sound like a lot but we always struggle with money. I checked the benefits calculator and we earn to much to receive any benefits. We're struggling to move because we have bad credit (the struggling with money part) and our landlords have blamed us for damage done to this property that was actually caused by damp so any reference we do get never gets accepted when applying for a new home. I need help! Any advice would be much appreciated. It is rare the courts will hand children over to the non-resident parent without a good and provable reason (i.e. such as social services being involved for the likes of neglect etc). As in all cases, the court’s main concern is the welfare of the children in question. The court will always put the children’s best interests first and this main issue will determine the outcome of any application for an order. The court's general objective is towards continuity and stability. If you do not have 50/50 shared care already, it is unlikely the courts would remove the children from the resident parent on the basis of you saying they do not wish to return home. Many children find separation difficult and many children do not wish to be parted from the parent they see the least. However, it doesn't mean they wish to be separated full-time from the parent they see the most. We are going to be getting 50/50 custody of my step son. Mum claims child benefit & wtc. She also gets csa. When we have 50/50 access will the csa money be stopped as we will have totally equally custody We are happy for her to continue with child Benefit & WTC. are we then entitled to any of this to put towards his upkeep in our home?? Much depends upon your mutual agreement. If the other parent is claiming these benefits, it's up to her if she wishes to share them. You can see more via the link here, for additional information. We are going to be getting 50/50 custody of my step son. Mum claims child benefit & wtc.She also gets csa.When we have 50/50 access will the csa money be stopped as we will have totally equally custody We are happy for her to continue with child Benefit & WTC. are we then entitled to any of this to put towards his upkeep in our home?? @Stepmum - I think the difficulty is how to prove it? Plus, it doesn't matter how much she earns or what she does with her life, the other parent still has to pay. So, she could be a millionaireseveral times over and still be able to claim child maintenance from the other parent. Can the press not be involved in this? It’s clearly a biased system and as it’s mostly men who suffer surely discriminatory too? We hear a lot in the press about how fathers won’t pay but nothing about this. My husbands ex pretends she works for her husbands ‘company’ for x hours a week to claim tax credits. She also gets CB and maintenance. She has the 2 eldest boys in school and the youngest in full time daycare while she spends her days as a lady of leisure! No need to work with all that coming in and a husband who works full time (but pretends he doesn’t!). I won’t even go into how many nights we have the kids and how much we spend on them. There are so many stories like this and somebody needs to provide a vocal platform to gain the attention of those with the power to make changes. It would be something that sells papers surely??? Hi my partner and I split up 4 1/2 years ago due to financial infidelity on her part we have 3 children together and I now have a 2 bedroom rented home which the children sleep at every Wednesday and alternative weekends i pay full maintenance every month and am working full time could you please tell me am I entitled to any help in any way? Many thanks. having recently split from the mother of my kids im interested to know what benefits im entitled to? we both work full time and earn the same amount though she has a lot of debts on her side.we have agreed for now to have the kids 2 days each. this has gone on for several weeks but she has begun claiming for benefits as though she has them full time! 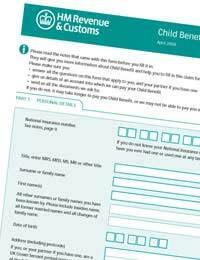 should I also enter a claim for benefits as its 50/50 split custody at the min? anytime I bring it up she makes threats about not seeing kids, supervised visits and all sorts of rubbish. I just want it all to be split 50/50 with regards to time with the kids and any financial help we may be entitled to. I wonder if someone can help me ... I am asking on behalf off my bro he has 4 children with a ex parent who claim tax credit child tax child benefit etc etc but he has them over half a year at his can he claim half the benefits the mother gets ( his ex ) plus he also give her mauntanece ..
Hi, hope I can get some advice here. My daughter stays with me the equivalent of 2.5 nights per week. This had to be court ordered as her mother wanted me to have no contact at all. My daughter is severely disabled and receives the higher rate of DLA. I provide everything for my daughter when she is in my care, clothes, toys, nappies ect. Her mother sends her with nothing but the clothes on her back. I've had to buy a hospital bed for my daughter's room, and had to buy my own wheelchair accessible car as her mother will not let me use the one provided by DLA when my daughter is in my care. Her mother receives the all of the benefits - child tax credits, DLA, mobility car, also she is able to claim cares allowance, reduced council tax and heating allowance. I am not able to claim anything and she will not split anything with me. This equates to hundreds of pounds a month. To top it off I am still legally require to pay child maintenance, which I must do every week. Myself and my partner are both self employed and have a low income and we are really struggling financially to provide everything that my daughter needs when she stays with us. Is there anything that I can do about the unfair benefits-can't-be-split system? Surely this is not right. P.S. discussing my concerns with her mother is out of the question she is psychotic. Unfortunately, in order to challenge this your only recourse would be to apply to court for a Specific Issue Order, please see link here . Hi, hope I can get some advice here. My daughter stays with me the equivalent of 2.5 nights per week. This had to be court ordered as her mother wanted me to have no contact at all. My daughter is severely disabled and receives the higher rate of DLA . I provide everything for my daughter when she is in my care, clothes, toys, nappies ect. Her mother sends her with nothing but the clothes on her back. I've had to buy a hospital bed for my daughter's room, and had to buy my own wheelchair accessible car as her mother will not let me use the one provided by DLA when my daughter is in my care. Her mother receives the all of the benefits - child tax credits, DLA, mobility car, also she is able to claim cares allowance, reduced council tax and heating allowance. I am not able to claim anything and she will not split anything with me. This equates to hundreds of pounds a month. To top it off I am still legally require to pay child maintenance, which I must do every week. Myself and my partner are both self employed and have a low income and we are really struggling financially to provide everything that my daughter needs when she stays with us. Is there anything that I can do about the unfair benefits-can't-be-split system? Surely this is not right. P.S. discussing my concerns with her mother is out of the question she is psychotic. This is a tricky situation, as by claiming child benefit your ex is seen as being the primary carer. However, if you have your children four nights per week, in theory you are the primary carer (if you undertake most of the day-to-day care of your children). In cases such as this, your only recourse would be to try via mediation to resolve the situation, or if your ex refuses and stops you seeing the children, you would have to apply to court. However, court is always seen as the last resort and you would have to apply for a child arrangement order to determine where your children should live and which parent should be the official primary carer, please see link here . As in all cases, the court’s main concern is the welfare of the children in question. The court will always put the children’s best interests first and this main issue will determine the outcome of any application for an order. It is unlikely you would be awarded a property with more than one bedroom. Unfortunately, the council only takes on the primary carer's status. You can see more via the Shelter link here . She’s offering me 3 days with our child, our paid nanny (her mum) has looked after her every week day for the past 16months. When I have our child do I have to keep taking our child there or am I able to put her in a nursery. Is there anything she can do to stop this?